The trade show also attracted officials from the Russian regional construction ministries, thus emphasizing its leading position for the industry in Russia and the CIS. “We are happy that through our work, and continuous exchange with regional authorities, we were able to welcome many of them at the show. In future, we plan not only to continue our work in this area, but even to extend it”, explains Andreas Lettl, general manager of CTT Expo LLC. 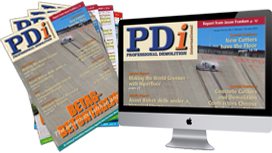 said: “We greatly appreciated the idea of demonstrating the equipment live. We were able to highlight particular advantages of our machines; this is simply not possible in a static presentation on a regular stand.” Also at the open air area, WorldSkills, an international non-profit movement which aims to enhance the reputation of the professions, demonstrated the competence of young professionals in the disciplines of concrete construction, and maintenance of heavy equipment to a wide audience, with the companies Doka and Volvo CE providing materials and equipment. New initiatives were also reflected in the supporting programme. A conference was held on ‘Construction equipment industry in transformation: drivers of success,’ by the Association of European Business (AEB). This brought high level speakers together from politics, associations, and key industry players such Caterpillar, JCB and Volvo CE. Trends and tendencies in the construction equipment market in the Russian Federation and Eurasia were also discussed, followed by presentations of innovative technologies designed for the future of the industry. The latter included unmanned technologies and electronic passport systems for self-propelled vehicles. bauma CTT RUSSIA 2018 again received official support from various national authorities and professional unions. These included the State Duma Committee for Economic Policies, Industry, Innovative Development and Entrepreneurship; the Ministry of Construction, Housing and Utilities; the Russian Union of Builders; Moscow’s Department of Urban Development Policy; the Committee for Entrepreneurship in Construction, and the Chamber of Commerce and Industry of the Russian Federation. Additionally, and new this year, were the sponsors Sperbank, Russia’s leading bank, and the insurance company VSK. 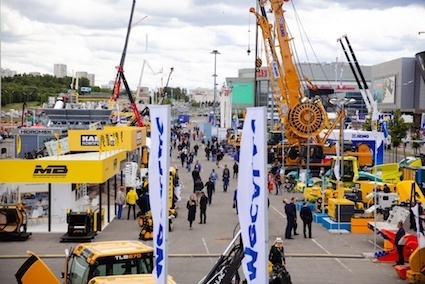 The next bauma CTT Russia, the 20th annual show, is scheduled to take place at IEC Crocus Expo, Moscow 4-7 June 2019.